Kunming is famed for being the Spring City in China. Its weather is so pleasant and its tourist attractions so unique that it has become one of the top choices for a tour or vacation. Here are the top 15 hotels in Kungming for you to choose from. We wish your stay in Kunming a great travel experience. The Green Lake Hotel was built in 1956 and is located in the centre of the Kunming city. It has long been hailed as one of the finest hotels in Kunming and rated as the #1 by TravelAdvisor. It offers a business center, free high-speed internet, a restaurant, suites, fitness center, kitchenette, room service and swimming pool. There are 302 rooms to choose from. Location: No.1 Yingbin Road, Guandu District, Kunming 650214, China. Avg. price/night is $91 - $142. Rated as the #1 by TripAdvisor. It offers a business center, free high-speed internet, a restaurant, suites, a fitness center, wheelchair access, room service and a swimming pool. There are 741 rooms to choose from. A four-star business hotel that is located conveniently at the center of Kunming city, where it is adjacent with the Golden Horse and Green Peacock Square, the symbol of Kunming history and culture. Rated as the #3 on TripAdvisor.com. It offers a business center, free high-speed internet, 3 restaurants, suites, a fitness center, wheelchair access, room service, a swimming pool and shuttle bus services. It offers a business center, restaurants, a fitness center and room service. There are 141 rooms to choose from. 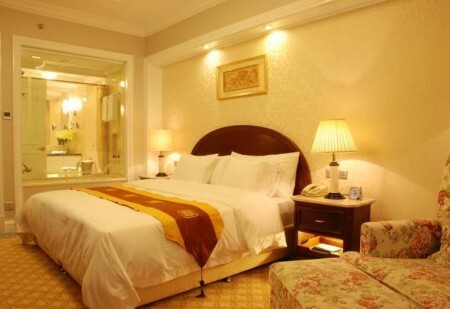 This hotel is located at No.157 Baiyun Road, Panlong District, Kunming 650224, China. Price is from $47. It is rated the #17 Hotel in Kunming by TripAdvisor . You may save 46% vs. similar quality hotels. 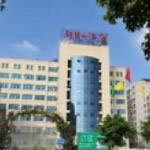 This hotel is located at No.96 Beijing Road, Guandu District, Kunming 650011, China. Price is from $28. It is rated the #84 Hotel in Kunming by TripAdvisor . You may save 68% vs. similar quality hotels. See More Hotel Deals in Kunming, Yunnan Province, China. Take a Look at Kunming Vacation Packages and Hotel Deals. Wonder how much your money is worth in China? Click to find out.